While it seemed as though Samsung had created a pretty consistent naming strategy that saw the release of new devices annually under the Galaxy A3, A5, and A7 monikers, the South Korean company ultimately decided to switch things up earlier this year with the release of the Galaxy A6 and A8 lines. However, if the brand’s latest trademark filings are anything to go by, yet another change to its naming strategy may be on the way. Revealed in a filing with the EUIPO, Samsung has requested trademarks for the Galaxy A10, A30, A50, A70, and A90 names, which suggests no single digit numbers will be used moving forward. 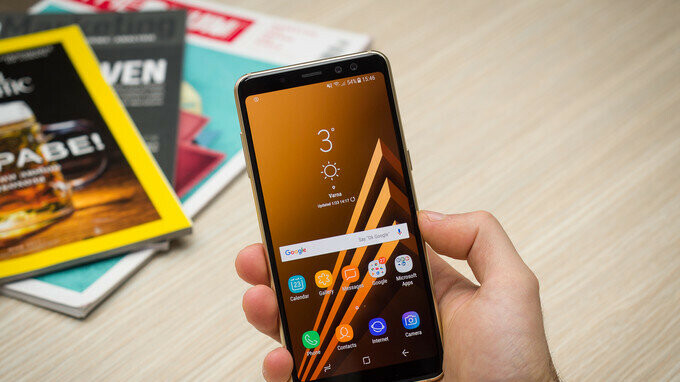 Additionally, due to the fact that Samsung tends to release more than one Galaxy A device in a calendar year, each one could be set to adopt a different number. If this is the case, the lower-end model will likely be sold under the Galaxy A10 name while the Galaxy A90 moniker will be reserved for the most expensive offering. Also, it would suggest that Samsung has plans for at least five new Galaxy A models next year. At this moment in time, there’s no official word as to why the company may be updating its naming strategy again, but overall unification upon the release of next year’s Galaxy S10 series seems to be the most logical reason. Furthermore, if this is accurate, it would suggest that subsequent Galaxy S flagships will adopt a strategy similar to the one debuted by Huawei earlier this year, whereby upcoming generations will be called the Galaxy S20, S30, S40, and so on, rather than utilizing the expected Galaxy S11, S12, and S13 strategy. So there reverting the A series back to its original naming but using double digits?. I've found this years line up confusing compared to last. At least with the a3, a5, a7, and a9 numbering they reflected diffrent model and screen sizes from small to large. I wonder what the A10 will be. Great point! I wonder the same. So they're just adding zero on A-series name? for 2020 lineup will they name it [A31, A51, etc] or [A30 (2020), A50(2020)]? If it's the latter, then they're just adding useless zero behind it. That S-naming seems okay, but will they name it S100 and S200 after S90?